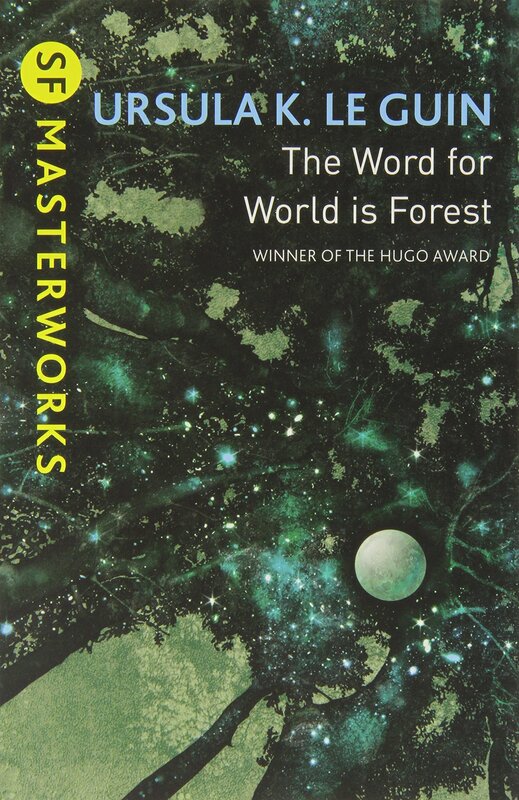 From the back cover of an earlier edition: “A bizarre and haunting journey through inner and outer space—to alien worlds where an aging playwright is in danger of losing his soul to a monstrous organic computer…. a charming teeny-bopper ghoul solves the problem of hunger in the town morgue… a member of the patrol squad on a dreary, useless planet is lured by the sucking darkness of evil Scranton’s marsh… the frozen steerage passengers on a floundering space ship share a gruesome fate… malevolent forces on the other side of death are held at bay by a huge black swan… and other strange and wondrous events beguile the reader to the edge of human horror—and beyond! 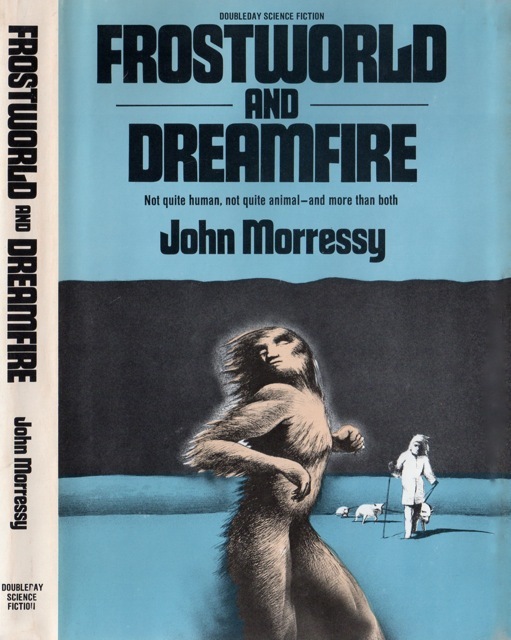 From the back cover: “Five tales of men struggling against warped time, fractured light, and mindless violence. langdon Joens is concerned wi3th the nature of time, time as a tyrannical machine, as a fragment of schizophrenic fantasy, as a purely psychological mechanism habing no objective existence. Delving in to the grotesqueness of psychic disorientation, he brings forth a new, daring kind of science fiction. In The Eye of the Lens, the title story, the “eye” becomes the eye of the unconscious, the eye that sees through the appearance of reality. It exposes us to violence and insanity and gives them a strange honesty. The Great Clock os a tome-terror trip reminiscent of Poe’s tale of the pendulum, but with consequences far more terrible. The Time Machine destroys the boundaries of time as it moves its protagonists from prison to an intense love affair to a warped realization of freedom. Symphony No. 6 in C Minor THE TRAGIC by Ludwig van Beethoven II is an extraordinary statement by a man cursed with a name. 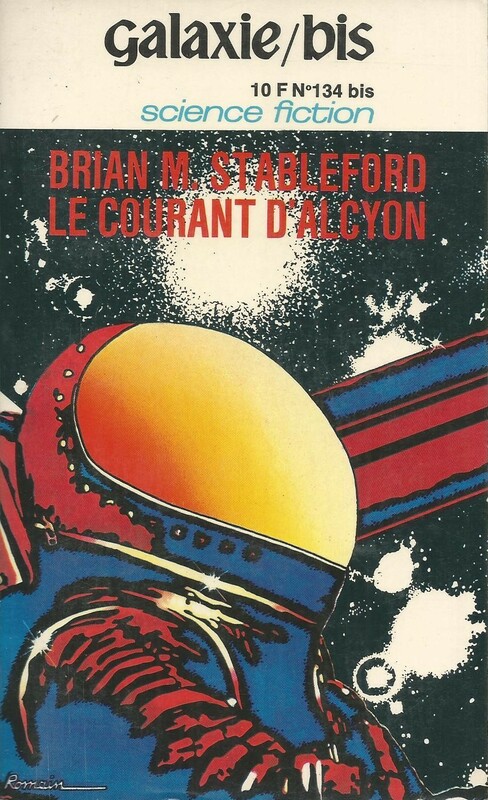 From the back cover: “Starved of news, fed on rumour the crew of the observatory gain perceptual powers that anticipate the Earth’s events. But they’re on the moon—or so Winter, their observer, thinks. But the crew think they’re on Earth. And who knows who is right in ‘Real-Time World’. The severed limps of Todd Alport, the Master, are tempted from retirement into another starring role as the greatest self-mutilator the stage has ever seen. And just what horror this superstar of the future can perpetrate ‘The Head and the Hand’ reveals. In GOOD NEW FROM THE VATICAN, Robert Silverberg tells of the election of the first robot Pope. 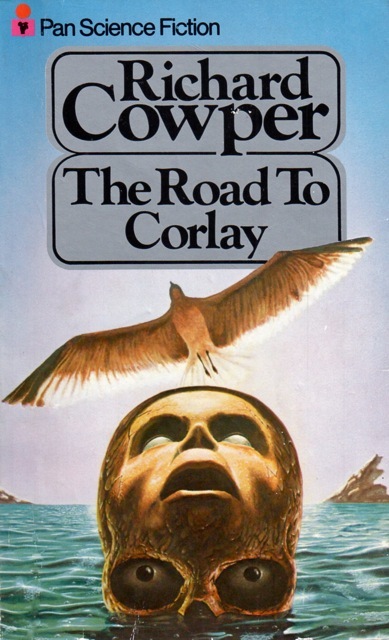 In MINDSHIP, Gerard F. Conway writes vividly of deadly stresses aboard a starship powered by a psi rive. In TIME EXPOSURES, Wilson Tucker has an ingenious tale of crime-solving with a camera that photographs the past. 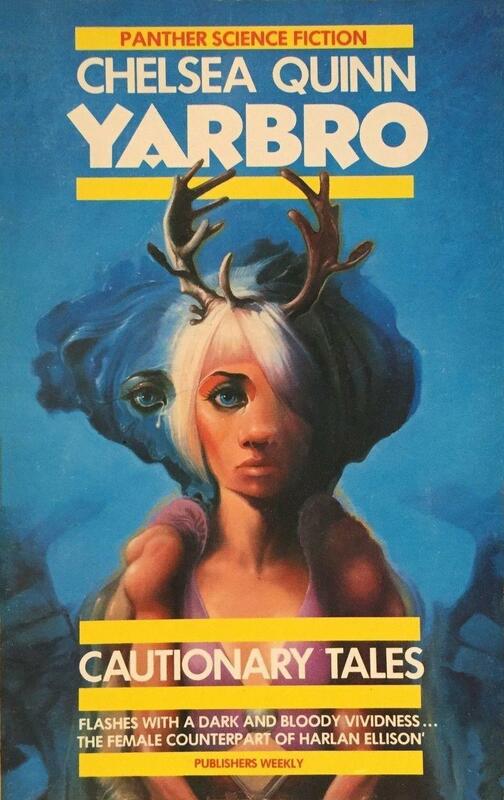 I reviewed Cautionary Tales for SF Mistressworks. And the Priest collection contains one of my favourites by him, ‘A Woman Naked’. I read you very lukewarm review of Cautionary Tales — I do not think I’ll enjoy the majority of them (especially the more fantasy ones). We shall see. But yes, I major fan of Priest! You should snag a copy of An Infinite Summer (which I reviewed recently). 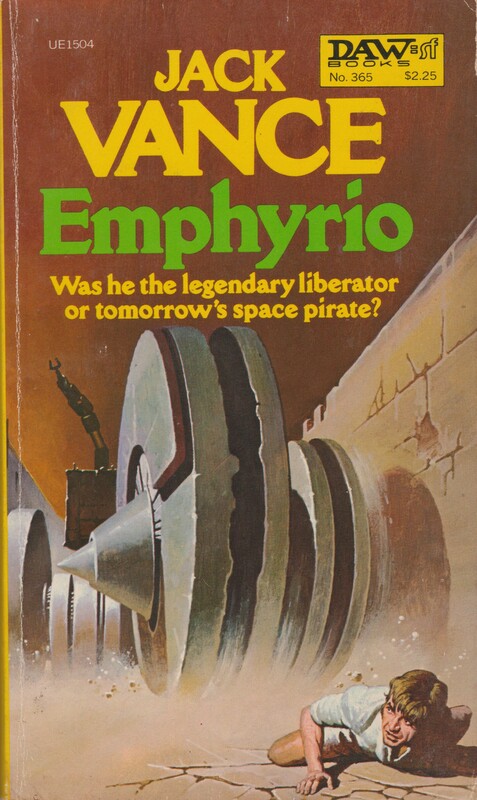 I remember seeing that Yarbro cover back in the 1980s.I’ll wait for your review I think,but I I’d probably prefer her shorter stuff. I like Bob Silverberg’s short stuff as much as if not more than some of his novels.”Good News from the Vatican” is one I’ve had in mind for a long time to read.It sounds as if it would be quite comical and inventive,as I would expect from him. That Orbit 1 collection looks darn good (Russ + Malzberg + Silverberg + Lafferty! )… Can’t wait. And there are handful of authors in there I haven’t read yet — Eklund and Goulart (I doubt they are that great but it’ll be nice to read a little short fiction by them). 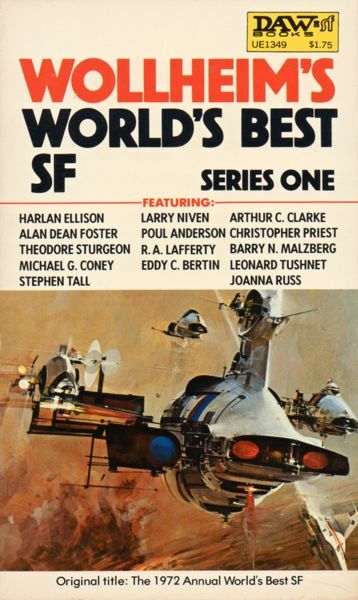 I have read one Ron Goulart short story in an anthology.It was rather forgetable,but that doesn’t mean you won’t like him.Yes you’ve got a rich selection there though. Looks like a fun haul. The wonderful thing about anthologies is that you get a lot of variety and the time commitment is less if you don’t like the story. I find for me a lot of authors are better in short lengths, their ideas translate well without filler. 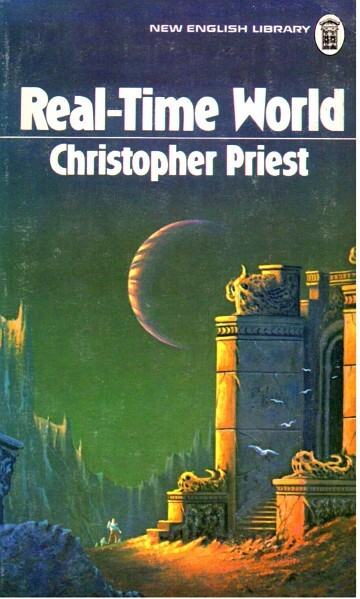 And I love the Bruce Pennington cover for the Priest. I definitely love anthologies. 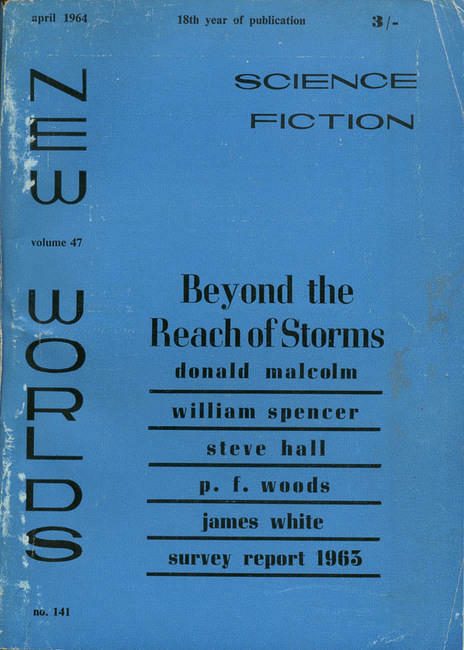 I’ve been slowly working through the New Worlds anthologies as well. 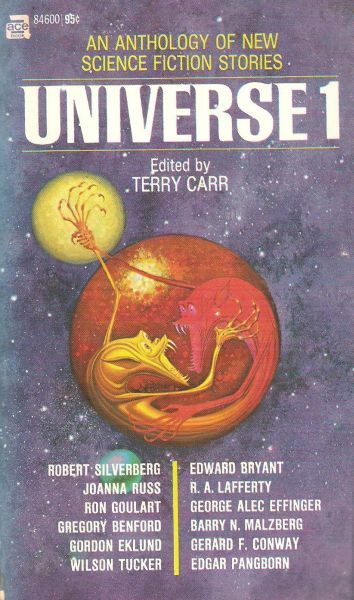 I have the feeling you’ll love the Universe volume if it’s as good as others in the series—a few of the stories can be a bit pretentious, but it has some of the best New Wave shorts! I started drooling when I saw the author list…. 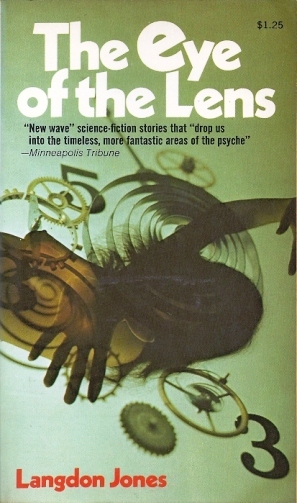 When I saw th title: “Eye Of The Lens,” I thought this cld b connected in some way to E E “Doc” Smith’s classic Lensman series – isn’t, is it? I am currently researching th Lensman series – have u written about that on your blog at all? I doubt it is related to the Lensman series — it’s about an eye (a manifestation of consciousness) looking (as if though a lens of a camera) at the world. It’s definitely very New Wave/avant-garde while the Lensman series is pure pulp. I am no fan of pulp in general — the Lensman series included. I did read one or two of them as a kid and they didn’t hold my interest. Thanks anyway, but what u describe instead sounds intriguing so now want to check it out! In the past 30 days I’ve gone from zero to three books by Goulart read and it will probably stop there. 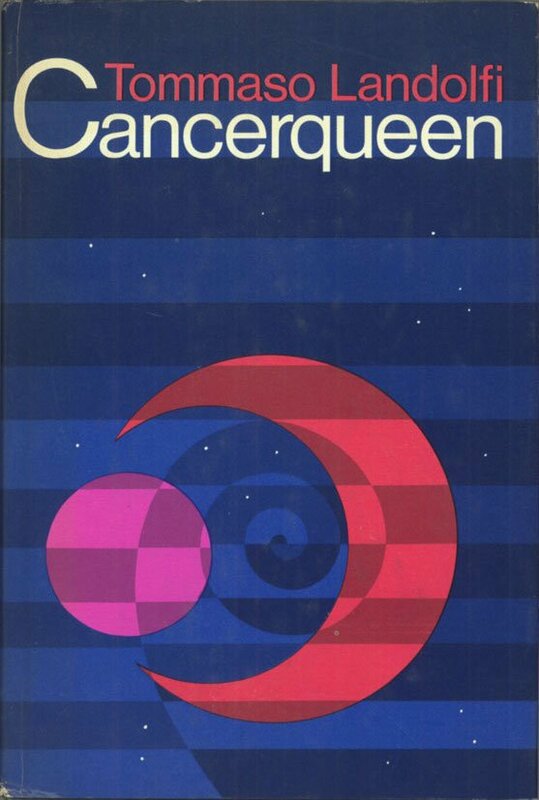 The content falls short of the cover blurb hype (IMO) – although if I was more into picking up on social satire of the periods Goulart writes about I might appreciate him more. He does get in a prescient jab or two at Nixon in ‘After Things Fell Apart'(1970). 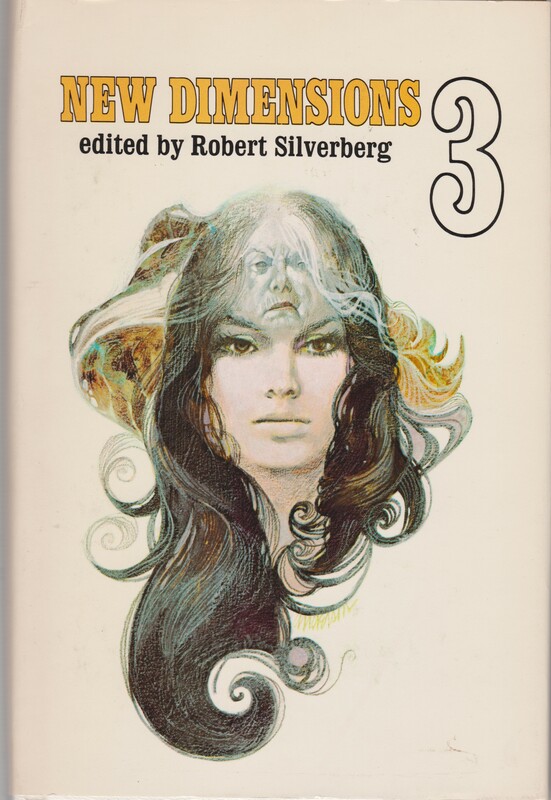 Quinn – “The female counterpart of Harlan Ellison”. Really? If so I’ll be searching for it. 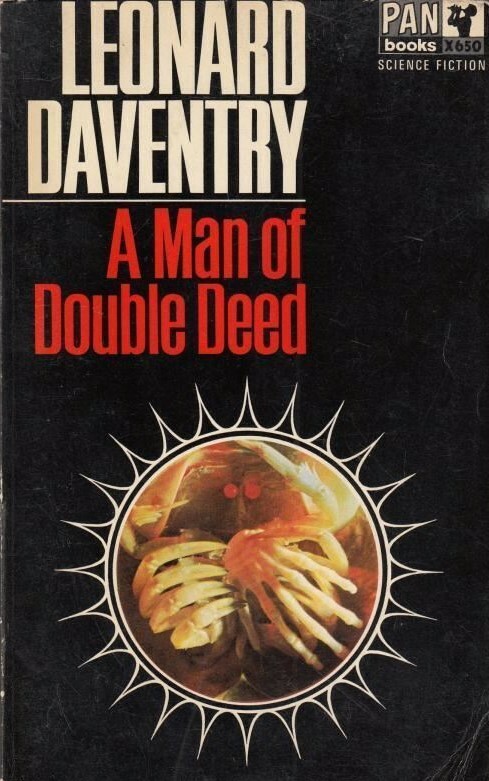 Thankfully there is only one of his short stories in the collection. I’ll take small morsels first before deciding to plunge in…. I think you’re right,but it probably meant that her stuff like Ellison’s,has a pretty raw edge,that holds nothing back,although he is also known for his literary finesse. I have the feeling that this is one I’ll definately be going for in the new year though. You beat me to that. Me like Ellison, me like authors compared with Ellison. Me like. A rather interesting selection as always Joachim, should keep you busy over the coming weeks. All the best. I have enough unread SF novels to keep me busy for at least five years 😉 haha. Is the Gerald Conway, in the collection the comic book writer Gerry Conway who the classic Spider-Man story,”The Death of Gwen Stacey”? 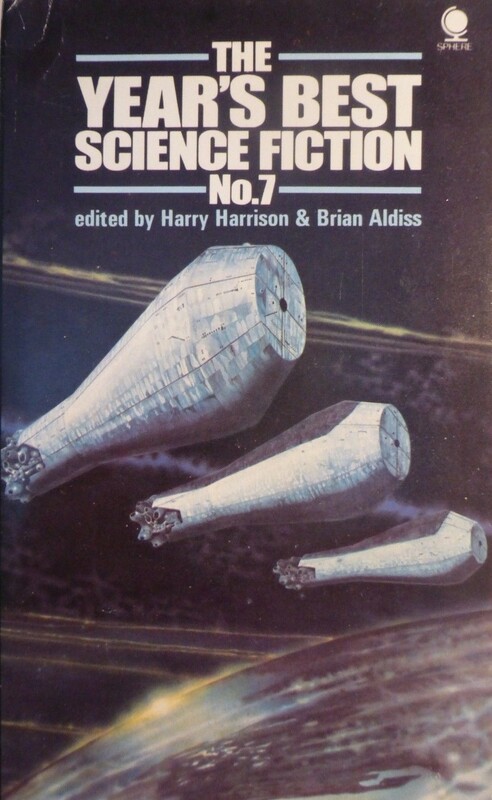 Yes it is the same author;it was well know he moonlighted as an SF author when working for Marvel.He was quite a capable scripter as you’d know if you’ve been a comic book reader,but don’t know what he was really like as an author of books.”The Science Fiction Source Book” by David Wingrove,described his stuff as standard space opera,so was probably of less quality than his comic book work. I never read that particular story.